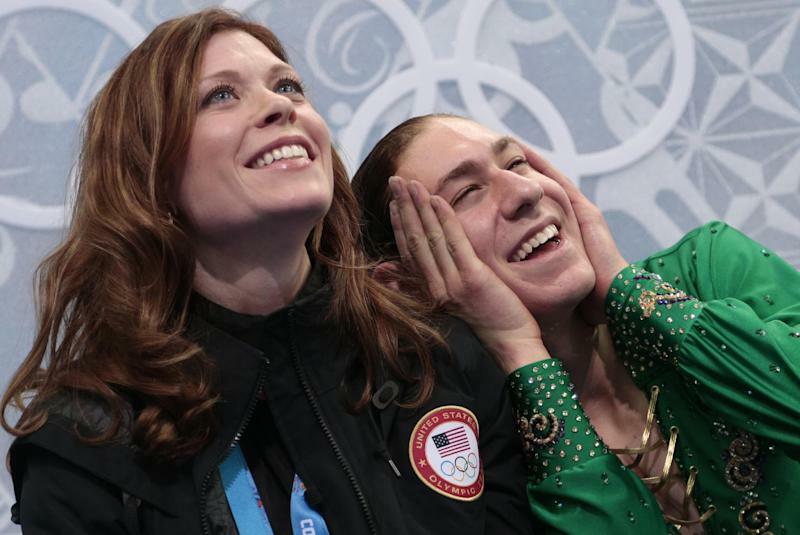 SOCHI, Russia (AP) — Imagine what Jason Brown could accomplish with a quadruple jump in his repertoire. Add that most difficult of elements to his programs, and the American teen could go from finishing ninth in his first Olympics to winning major championships. "For sure, for sure. It's really exciting what I've been able to do without the quad," Brown said. "That's a huge confidence builder and a huge excitement about what can happen in the future. I definitely think with that anything is possible." The 19-year-old from Chicago was in sixth place but less than a point out of third after Thursday's short program at the Sochi Games. By the time he took the ice for Friday's final free skate, bronze was likely out of Brown's reach because of the points racked up by several competitors. Then he two-footed his toe loop on his triple-triple combination and stepped out on his triple axel, both jumps marked down for under-rotation. But the most costly mistake came when his foot appeared to slip on the takeoff for his double axel and he regrouped before trying it a second time. 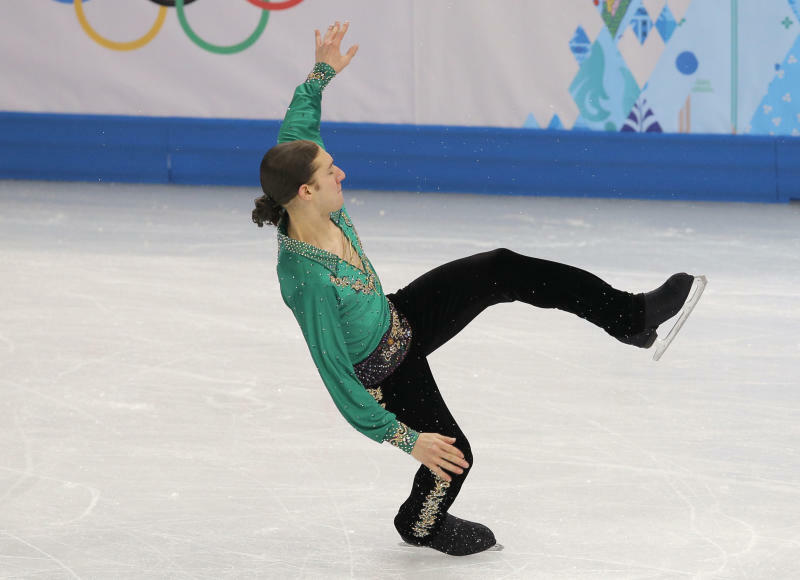 Under figure skating rules, the attempt counts as a jump, so his triple loop near the end didn't earn any points because it was technically one more jump than permitted. Brown was 11th in the free skate and finished 16.73 points behind bronze medalist Denis Ten. Still, a top-10 Olympic showing is an impressive achievement for a skater who wasn't sure at the start of the year if he should compete at the junior or senior level. He's working on his quad every day in practice, determined to contend at the next two Olympics. It took him 3½ years to develop his triple axel, but that forced him to polish the spins and footwork that allow him to score so many points despite the lack of a quad. As of now, Brown isn't in line to skate at the world championships in March. 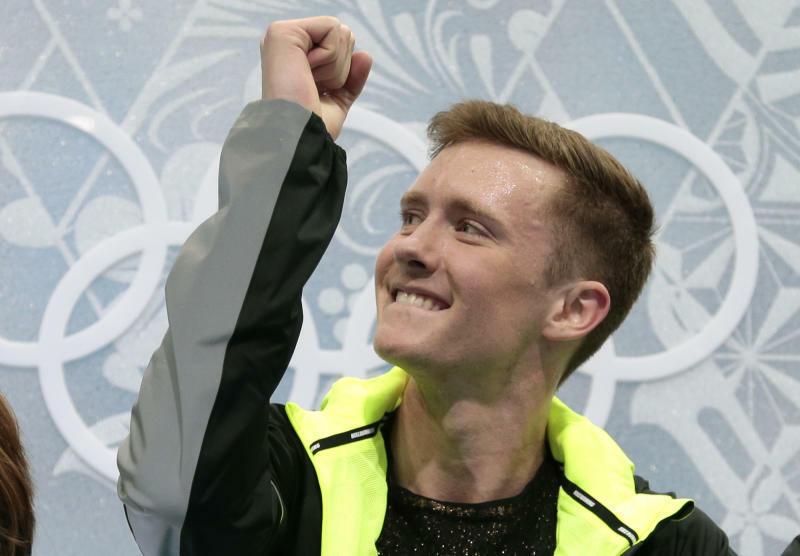 The U.S. spots would go to Max Aaron and Jeremy Abbott, though Abbott said Friday he wasn't sure yet if he'd go to worlds. For Abbott, a four-time U.S. champ who plans to retire after the season, the free skate was a small measure of redemption. He slammed into the ice on his quad attempt Thursday to place 15th in the short program. Abbott woke up Friday morning racked by pain. His body was bruised from his hip up the length of his ribs, and the muscles on his right side were seizing up. That made it impossible to do any loops, so he swapped them for other jumps Friday. As for the quad toe loop to open his free skate, his coaches counseled him to "be smart." So when he didn't feel quite right going into it, he did a triple instead. It was a clean if not perfect program. Abbott was eighth in the free skate to move up to 12th overall. Yet again, he excelled at nationals only to falter at a major championship. Asked what he would tell people who consider him a choker, Abbott inhaled slowly then started to answer. Laughing, he apologized to U.S. Figure Skating communications director Barb Reichert for what was coming. His words were razor sharp, but he delivered them far more philosophically than angrily. "I would just want to put my middle fingers in the air and say a big 'F you' to everyone who's ever said that to me, because they've never stood in my shoes, and they've never had to do what I had to do," Abbott said. "Nobody has to stand center ice in front of a million people and put an entire career on the line for eight minutes of their life when they've been doing it for 20-some years. "If you think that's not hard, then you're a," he paused for a moment to decide on the word, "damn idiot."